Miller Grove High School is serving as the host for the 2018 DCSD Middle School All-Star Basketball Games on Saturday beginning with the girls’ game at 12:00 pm. 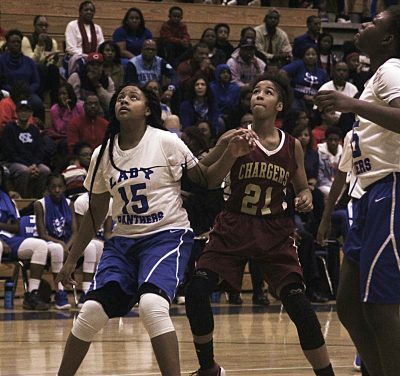 Chapel Hill’s Winfred Crawford who led the Lady Panthers to a 17-0 record and the DCSD championship coaches the Region 3/4 girls’ team with players from Salem, Freedom, Lithonia, Miller Grove, Redan, Chapel Hill, McNair, Bethune, Cedar Grove and Columbia Middle Schools. DCSD runners-up coach Rishandra Gartrell of Champion heads the Region 1/2 squad with players from Chamblee, Henderson, Peachtree, Sequoyah, Tucker, Stone Mountain, Champion, Druid Hills, Stephenson and Renfroe Middle Schools. The boys’ game is set for 1:30 pm at Miller Grove High with the Region 1/2 pairing taking on the Region 3/4 team. 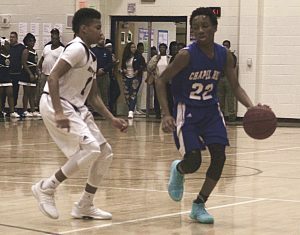 Renfroe Middle’s Chaz Wright who coached the Bulldogs to a 15-2 record and the DCSD boys’ title this season heads up the Region 1/2 team made up of players from Chamblee, Henderson, Peachtree, Sequoyah, Tucker, Stone Mountain, Champion, Druid Hills, Stephenson and Renfroe Middle Schools. Chapel Hill’s Michael Greer who led his team to a surprising runner-up finish leads the Region 3/4 group from Salem, Freedom, Lithonia, Miller Grove, Redan, Chapel Hill, McNair, Bethune, Cedar Grove and Columbia Middle Schools. Each team has 10 of the top players from this past season representing their schools. Each team will also have a cheer squad made up of All-Star cheerleaders from their respective schools.